The Airbus A220 has become the smallest airliner to be approved for 180-minute extended diversion time operations (EDTO), formerly ETOPS, and that could open up lucrative opportunities for transoceanic routes outside of the normal hubs. 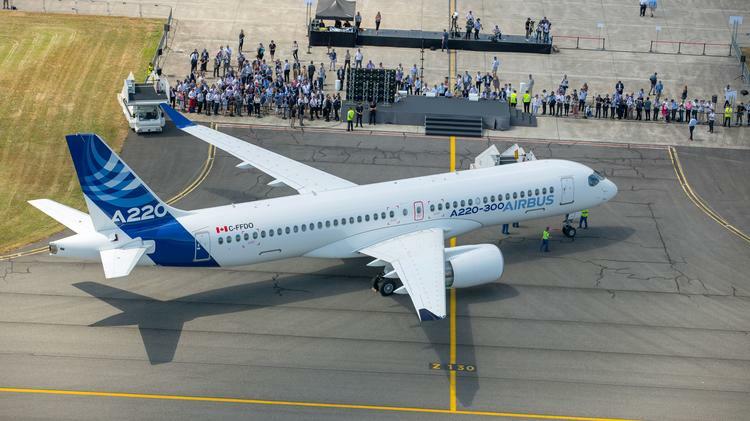 The former Bombardier CSeries program, which was acquired by Airbus in July of 2018, targets the 100-150-seat niche and the approval by Transport Canada widens the scope of operations for the highly regarded fly-by-wire airliner. The aircraft was also approved for steep approaches of up to six degrees last summer and with EDTO approval, direct flights from London City Centre Airport to the east coast of North America would be allowed. The approval will also allow the aircraft to be used between Hawaii and the western U.S.